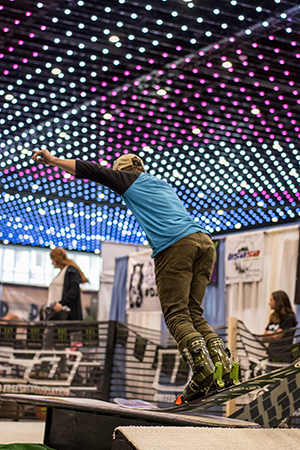 ALBANY, NY – The Northeast Ski & Craft Beer Showcase, presented by Alpin Haus, will return to the Albany Capital Center on November 2-4, 2018, with free lift tickets, an all-new selection of craft beer and great deals on winter gear. One of the nation’s longest-running winter sports shows, now in its 57th year, will take place Friday, November 2 from 4 to 9 p.m.; Saturday, November 3 from 10 a.m. to 6 p.m.; and Sunday, November 4 from 10 a.m. to 4 p.m. The Albany Capital Center is located at 55 Eagle Street in downtown Albany. Free parking is available at the nearby Times Union Center garage. 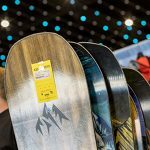 Tickets are now on sale for the Northeast Ski & Craft Beer Showcase at northeastskishow.com. Tickets are $10 per day when purchased in advance of the show. A three-day value pass is available online for $25. Tickets are available at the door for $12 per day (cash only). Guests may save $2 by bringing a new, unwrapped toy to the show to benefit the U.S. Marine Corps Reserve Toys for Tots holiday toy campaign, courtesy of NBT Bank. Children 10 and under accompanied by an adult are free. The Northeast Ski & Craft Beer Showcase will feature the popular free lift ticket promotion, with 500 guests each day receiving a complimentary lift ticket with paid admission. On Friday, the first 500 guests with paid admission receive two-for-one lift tickets to select Vermont mountain resorts. On Saturday and Sunday, the first 500 guests each day receive free lift tickets to participating New York mountains, with paid admission, courtesy of I SKI NY. See website for details; restrictions may apply. 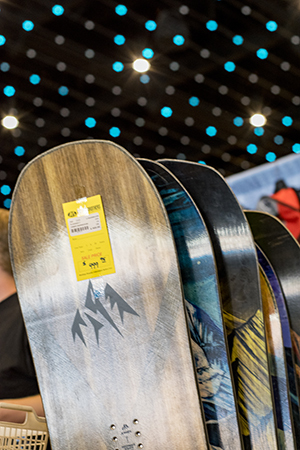 Guests to the Northeast Ski & Craft Beer Showcase will find aggressively priced deals on skis, snowboards and apparel from leading Capital Region and Hudson Valley retailers, including Alpin Haus, Potter Brothers and Steiner’s Sports. Guests will find selections from top brands such as Atomic, Blizzard, Helly Hansen, Karbon, Nordica, The North Face, Spyder, Under Armour and UGG, among many others. 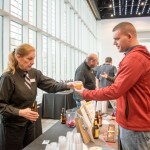 The Northeast Ski & Craft Beer Showcase will include an entirely new selection of craft beer, wine and spirits from local and regional breweries, wineries and distilleries. This year’s Craft Beer Garden, presented by Saratoga Eagle, will be open Friday from 4 to 8:30 p.m., Saturday from noon to 5:30 p.m. and Sunday from noon to 3:30 p.m. Sampling fees apply and guests must be 21 years of age or older. The Saratoga Eagle Craft Beer Garden will also for the first-time feature mimosa specials available to guests for purchase on Sunday morning from 10 a.m. to noon. Representatives from more than a dozen mountain resorts will be on hand to highlight off-season upgrades and to offer special travel packages as well as outstanding deals on lift tickets. Participating mountain resorts include: Bolton Valley Resort, Bromley Mountain, Catamount Mountain, Gore Mountain, Hunter Mountain, Jackson Hole, Jiminy Peak Mountain Resort, Mount Snow Resort, Oak Mountain, Smuggler’s Notch Resort, Stratton Mountain Resort, Sugarbush Resort, West Mountain, Whiteface Mountain, and Windham Mountain. 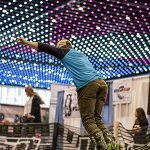 The Northeast Ski & Craft Beer Showcase will feature top-flight entertainment, including music by Capital Disc Jockeys from show open to close, and the return of the sport’s leading indoor freestyle aerial show featuring semi-pro athletes performing acrobatic tricks as they glide down an indoor rail slope. The next generation of winter sports fans will also enjoy a variety of free, family-friendly activities, including face painting and a balloon artist on Saturday and Sunday, courtesy of Hannaford Supermarkets. Additionally, pharmacists from Hannaford will prepare guests for the season by offering flu shots and winter wellness giveaways throughout the show. The Lia Auto Group will serve as the show’s exclusive automotive partner and will showcase cars and trucks designed to transport skiers and families to the slopes and back in winter driving conditions. Guests are encouraged to visit the Albany Auto Show, which will take place at the Times Union Center the same weekend as the Northeast Ski & Craft Beer Showcase. Guests can get a $2 discount voucher to the Albany Auto Show by visiting the Northeast Ski & Craft Beer Showcase. 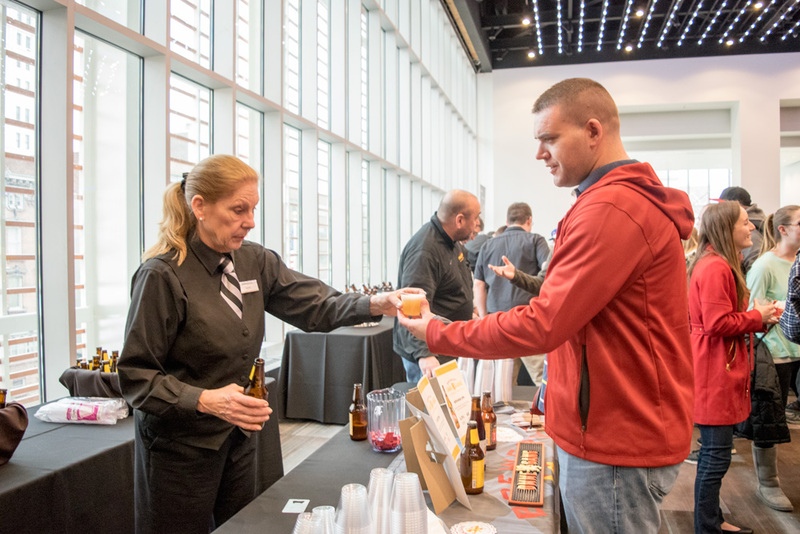 Free parking for both the Northeast Ski & Craft Beer Showcase and the Albany Auto Show is available at the Times Union Center garage, 100 Beaver Street, which is connected to the Albany Capital Center via an enclosed walkway. Guests can access the walkway on the fifth floor of the parking garage. The Northeast Ski & Craft Beer Showcase is presented by Alpin Haus. Additional event partners include Saratoga Eagle, Hannaford Supermarkets, Monster Energy, Lia Auto Group, NBT Bank, Stewart’s Shops and I SKI NY. A limited number of exhibitor booths are available. Interested parties should contact Brooke Bardack at 518-221-9876 or via email at bbardack@edlewi.com.